Hartland Aikido Club, North Devon: Self-Defence For Women! Aikido is based upon aiki-jui-jitsu and some of the best practitioners I've ever seen are women. 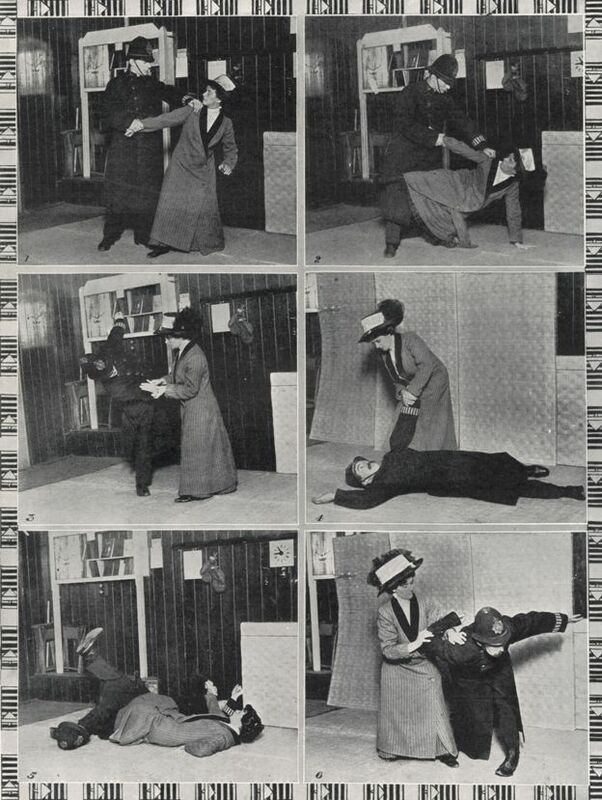 The main quality of jiu-jitsu which attracted the suffragettes was (according to the BBC feature) that fact that it "emphasised using the attacker's force against them, channelling their momentum," which made it effective even when used by a small women against a large man. The same is true of aikido. In fact, aikido goes even further than jiu-jitsu in emphasising the importance of using the force of the attack in order to defeat the attacker.